Is there a Fish War between the UK and the EU after the Brexit? It couldn’t be more English than “fish and chips”, you thought, but that’s not right. Most of the fish for that primal British dish is imported from the other member states of the European Union. We prefer to eat fish that the British fishermen catch. With a hard Brexit, a lot of fish threatens to remain on the wrong side of the Channel. Now that a hard Brexit without an agreement with the EU seems to be no longer out of the question, many fishermen on both sides of the Channel suddenly have their hands in their hair. However, it was the British fishermen who were seduced by the slogan “take back control of UK waters” during the Brexit referendum in June 2016. Due to its geographical location, the United Kingdom – and in particular Scotland – can claim an extensive “exclusive economic zone” (EEZ) in the North Sea and the Atlantic Ocean. According to maritime law, a country can claim natural resources up to 200 nautical miles off the coast. However, EU rules allow fishers from the other Member States to come and fish in those rich British waters, at least if they adhere to the catch quotas imposed by Europe. 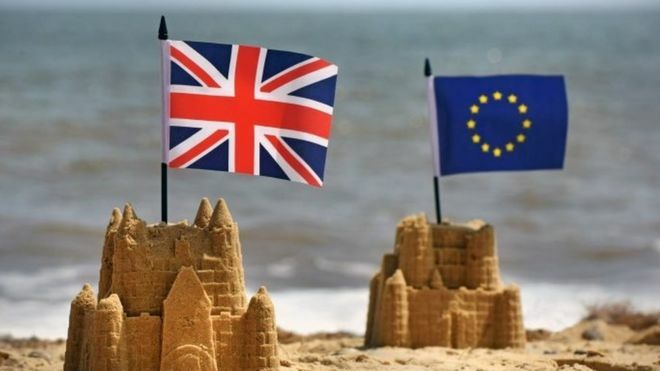 The agreement on the Brexit that the British government has concluded with the EU stipulates that this arrangement will remain in force until 2020. In the meantime, new agreements would be made between London and Brussels. However, should the UK crash out of the EU without agreement, then that does not apply, and London can exclude other European fishermen from those fishing grounds? The sea is full of fish, but which one? However, it is not that simple. While fishing in the EU is only a fraction of the economy; The fact is that it can be essential locally. For example, our Belgian fishermen get about half their catch from British waters. French, Dutch and Spaniards also like to throw out their nets there.